Dr. Mike Mochizuki holds the Japan-U.S. Relations Chair in Memory of Gaston Sigur at the Elliott School of International Affairs at The George Washington University. Dr. Mochizuki was director of the Sigur Center for Asian Studies from 2001 to 2005. He co-directs the “Memory and Reconciliation in the Asia-Pacific” research and policy project of the Sigur Center. Previously, he was a Senior Fellow at the Brookings Institution. He was also Co-Director of the Center for Asia-Pacific Policy at RAND and has taught at the University of Southern California and Yale University. 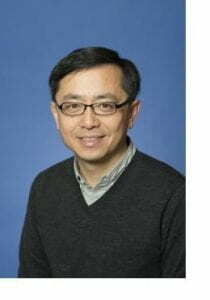 Dr. Daqing Yang graduated from Nanjing University and received his Ph.D. from Harvard University. He specialized in the history of modern Japan. His research interests include the Japanese empire, technological developments in modern Japan, and the legacies of World War II in East Asia. In 2004, Dr. Yang was appointed a Historical Consultant to The Nazi War Crimes and Japanese Imperial Government Records Interagency Working Group at the U.S. National Archives. Professor Yang is a founding co-director of the “Memory and Reconciliation in the Asia Pacific” program based in the Sigur Center for Asian Studies, and is currently working on a new project on postwar China-Japan reconciliation. He is the author of Technology of Empire: Telecommunications and Japanese Expansion in Asia, 1883-1945. 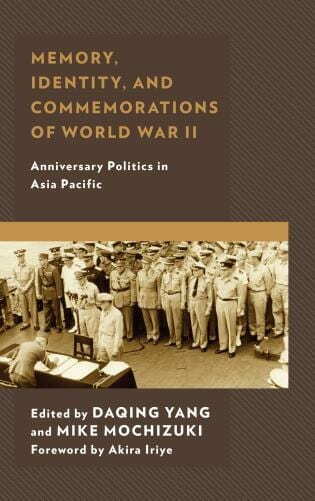 He co-edited the following books: Historical Understanding that Transcend National Boundaries, which was published simultaneously in China and Japan; Rethinking Historical Injustice and Reconciliation in Northeast Asia; and Communications Under the Seas: The Evolving Cable Network and Its Implications. Dr. Robert Sutter is Professor of Practice of International Affairs at the Elliott School of George Washington University beginning in 2011. He also serves as the school’s Director, Program of Bachelor of Arts in International Affairs. 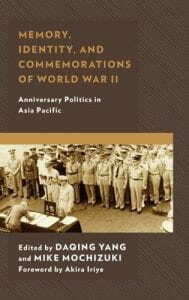 A Ph.D. graduate in History and East Asian Languages from Harvard University, he has published 21 books, over 200 articles and several hundred government reports dealing with contemporary East Asian and Pacific countries and their relations with the United States. His most recent books are: Foreign Relations of the PRC: The Legacies and Constraints of China’s International Politics since 1949 (Rowman & Littlefield 2018); US-China Relations: Perilous Past, Uncertain Present (Rowman & Littlefield 2018); Chinese Foreign Relations: Power and Policy Since the Cold War (Rowman & Littlefield 2016); The United States and Asia: Regional Dynamics and 21st Century Relations (Rowman & Littlefield 2015). Professor Sutter’s government career (1968-2001) focused on Asian and Pacific affairs and US foreign policy. Dr. Lily Gardner Feldman is currently the Harry & Helen Gray Senior Fellow at AICGS at Johns Hopkins University. 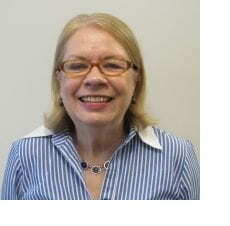 She also directs the Institute’s Society, Culture & Politics Program. She has a PhD in Political Science from MIT. Dr. Gardner Feldman has published widely in the U.S. and Europe on German foreign policy, German-Jewish relations, international reconciliation, non-state entities as foreign policy players, and the EU as an international actor. Her latest publications are: Germany’s Foreign Policy of Reconciliation: From Enmity to Amity, 2014; “Die Bedeutung zivilgesellschaftlicher und staatlicher Institutionen: Zur Vielfalt und Komplexität von Versöhnung,” in Corine Defrance and Ulrich Pfeil, eds., Verständigung und Versöhnung, 2016; and “The Limits and Opportunities of Reconciliation with West Germany During the Cold War: A Comparative Analysis of France, Israel, Poland and Czechoslovakia” in Hideki Kan, ed., The Transformation of the Cold War and the History Problem, 2017 (in Japanese). Her work on Germany’s foreign policy of reconciliation has led to lecture tours in Japan and South Korea. Dr. Christine Kim is Associate Professor of Teaching in the School of Foreign Service of Georgetown University. 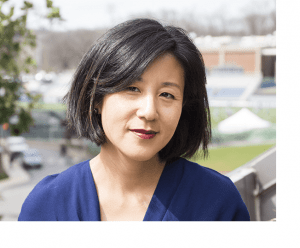 An historian by training, she teaches courses on modern Korea and East Asia at both the undergraduate and graduate levels; topics include comparative colonialisms, twentieth century conflicts, political symbolism, and film. Her research and writing focus on national identity, material culture, and political movements. The King Is Dead (forthcoming) explores the ways that colonization and modernization influenced Korean polity and identity during the late nineteenth and early twentieth centuries. She is also engaged in a study examining cultural heritage and arts management in Korea in the twentieth century. Kim is the recipient of numerous fellowships, including ones from the Department of Education (Fulbright-Hays), the National Endowment for the Humanities, the Korea Foundation, the Academy of Korean Studies, and the East-West Center.